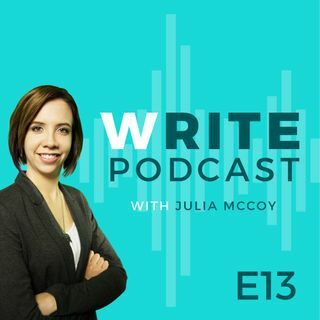 Tune in for a true story in a solo episode by the CEO of Express Writers, Julia McCoy, on how she nearly encountered failure after two employees were discovered embezzling from her company for eight months, what she did to recover from the process, and why she believes 100% in honesty and authenticity (even with clients). Julia shares four major lessons she learned the hard way that every business and marketer can put into practice for better results in business. *See more podcast episodes at ... See More https://expresswriters.com/write-podcast/. *Read Julia's blog at www.expresswriters.com/write-blog. *Get Julia's new bestseller: http://bit.ly/juliamccoy.